Your Geotab GPS Fleet Tracking system, linked with the Geotab Drive app, is the easiest and quickest HOS tracking solution on the market today. If you’re looking for an easy, robust, and compliant HOS tracking/e-log system, you’ve found it with Geotab Drive. To get started, simply download the app on your Android or iOS device, and link it in seconds with your Geotab fleet tracking unit. No contract for the fleet manager, no hassle for your drivers – a top-notch HOS solution whether your fleet is large or small. What makes Geotab Drive a class above the rest for HOS Tracking? Ease-of-use: the easiest way to track hours of service electronically, for drivers and fleet managers. Robust features: to give fleet managers the data they need to both comply with regulations and optimize their fleet. Industry-leading support: to help get your company on its way to tracking hours of service, the modern way. 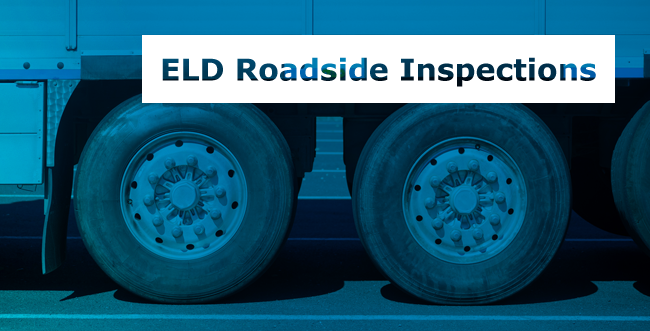 Registered ELD (Electronic Logging Device): our Geotab ELD is now a registered ELD with the Federal Motor Carrier Safety Administration (FMCSA) in the United States. 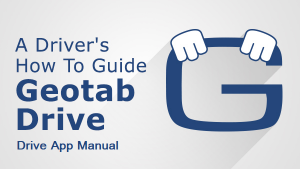 Once the Drive app is linked with your Geotab fleet tracking unit, it automatically logs when the vehicle is moving. Yes, that means that the app automatically switches status from On Duty mode to Driving mode and vice versa. At the end of the day, the driver just verifies their log, and it’s sent to the fleet manager to sign off on them. Logging Hours of Service has always been a burden on your fleet drivers, but now with recent changes to regulations by the FMCSA (Federal Motor Carrier Safety Administration), it’s also going to be mandatory to log them electronically. 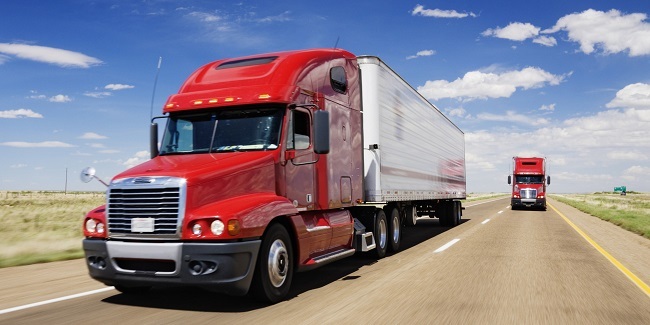 Make sure your drivers are compliant with regulations. Compliance with Geotab’s automatic onboard capabilities means safer driving in your fleet, and it saves fleet managers over 60 hours of man-time in administering driver logs. 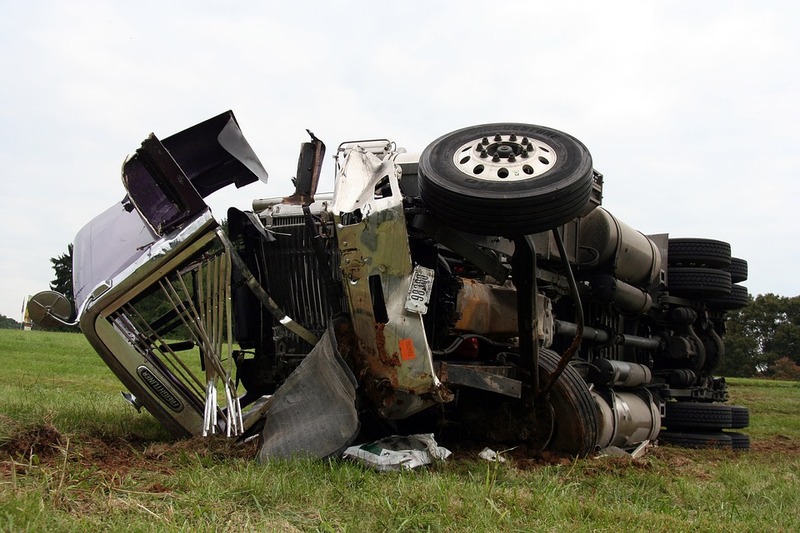 For additional details on the FMCSA regulations, check out this convenient report on Understanding FMCSA Regulations on Electronic Logging Devices. 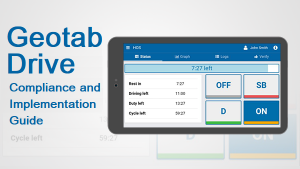 Beyond automatic Hours of Service reporting, the Geotab Drive app also features electronic Driver Vehicle Inspection Reporting (DVIR). The DVIR function of Geotab Drive incorporates a complete end-to-end inspection workflow, where drivers can select defects, add comments, review previous inspections, and can certify that the repair performed fixed the defect identified. Reports will consist of inspections that show defects, who identified the defect, and who repaired it for future reference. Reports can also be conveniently sorted in in the Geotab dashboard to show all DVIRs, or just those with defects, those that have been repaired, or those that have been certified as repaired, which offers increased visibility for the health of your fleet of vehicles. 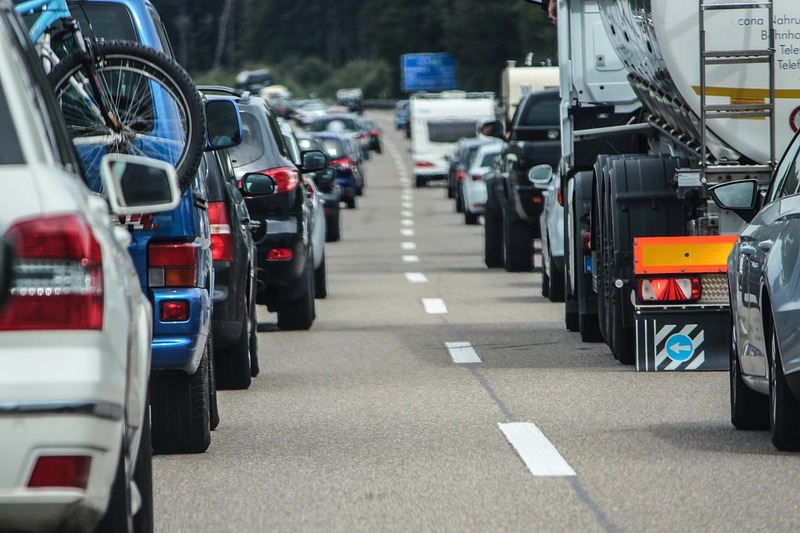 Under the International Fuel Tax Agreement (IFTA), if a business operates heavy commercial vehicles like those in your fleet between states, they are required to track all fuel expenses and the distances travelled. Via the Geotab GPS fleet tracking device and the Geotab Drive app, this can all be done automatically, saving your drivers time, and improving the accuracy of reporting! IFTA Tracking – Get Started! Take your company to the next level by upgrading to the industry’s most flexible electronic logbook solution. Linking your Geotab fleet tracking system hardware supplied by GPS to GO with J.J. Keller® Encompass with ELogs will help you be compliant and competitive by prioritizing your organizational needs. J.J. Keller understands that your company is unique and has built an e-log system that helps you maximize your company’s strengths and address risks before they become liabilities. Contact us today to find the best electronic logbook solution for your company.